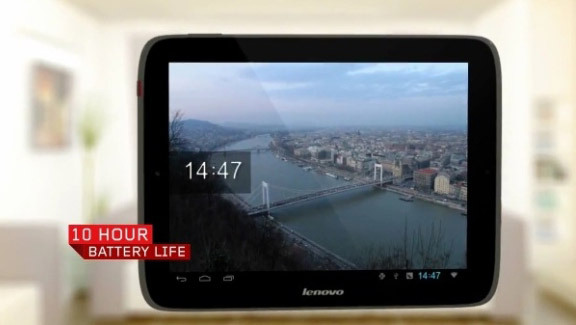 Lenovo announced its latest tablet called the IdeaPad S2109. It released the details of IdeaPad S2109 through a video on its video channel on YouTube. The new tablet from Lenovo is aimed at the latest iPad from Apple which was released on March 7, 2012 and other latest Android based tablets from Samsung and HTC. The latest Lenovo IdeaPad S2109 runs on the latest Android 4.0 operating system nicknamed as Ice Cream Sandwich. This facilitates it to access thousands of applications available on the Android Market. Users can also download applications from Lenovo’s own application store; many of the applications on Lenovo’s application store are not available for non-Lenovo customers. As Android 4.0 works for mobile phones and tablets, many applications which were earlier available only for mobile phones would now be available for IdeaPad S2109. 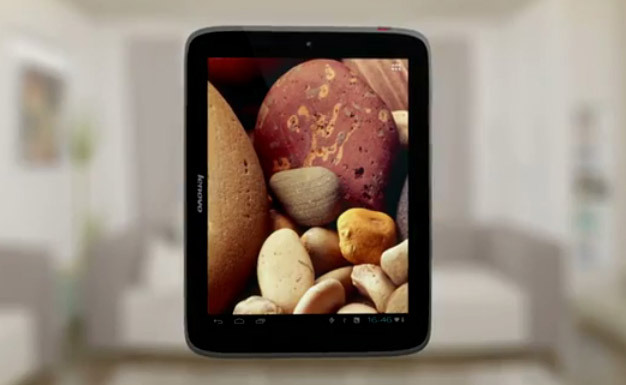 The tablet has a 9.7-inch, IPS (In-Plane Switching technology) screen with a 4:3 aspect ratio. The screen has a resolution of 1024×768 pixels which is on par with the one available on iPad-2. The IdeaPad S2109 features an OMAP4 chip making it very fast for gaming and multimedia, along with a 1 GB RAM which ensures faster and efficient execution of applications. The YouTube video showed a unibody shell and gunmetal finish for the tablet but didn’t specify whether it comes with a metal or plastic body. 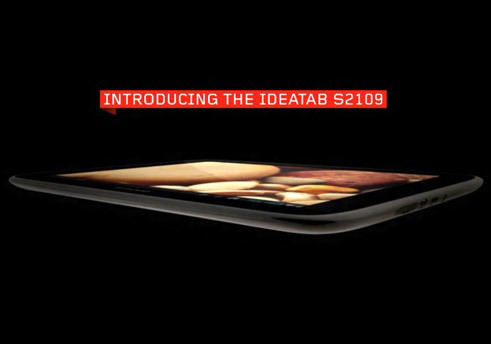 The IdeaPad S2109 is just 8.9 mm thick and will be one of the slimmest tablets in the market when it is released. This makes it very easy for the users to handle and carry it. Lenovo’s new tablet also has good audio features and comes with 4 SRS-ready in-built speakers with support for stronger bass. While most tablets come just with one or two speakers of mediocre quality, IdeaPad S2109’s 4 in-built speakers raise the expectations regarding its multimedia capabilities. The IdeaPad S2109 comes with some impressive hardware specifications like a micro SD card slot, Micro-USB and Micro-HDMI port. It has a 10-hour battery life after a single charge. 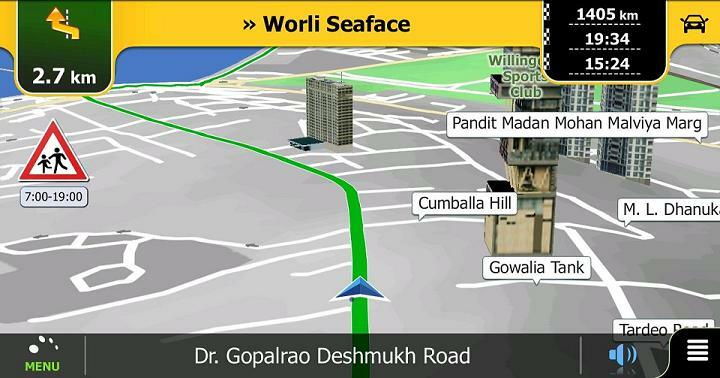 A front facing 1.3-megapixel facing camera is available for video chatting. There will not be any rear camera which is anyway not preferred by many tablet users. It has lot of connectivity options for accessing data and online entertainment. The connectivity options include Bluetooth for document sharing with other compatible devices; Wi-Fi and 3G for anywhere connectivity to internet. IdeaPad S2109 sports a voice activation feature similar to the ‘Siri’ application available on Apple’s iPhone 4S. While the new IdeaPad S2109 comes with some very good features found on any modern tablets, it lags behind the like of the latest Apple iPad. The latest iPad’s 2048 x 1536 screen resolution will certainly out beat the 1,024×768 resolution available on the IdeaPad S2109. The Android Market cannot still match the sheer range of applications available on Apple’s App store. But, the major USPs for the new Lenovo’s tablet will be its affordability and the Android 4.0. The price at which IdeaPad S2109 will be available is still not announced. But, going by Lenovo’s past pricing record analysts are expecting an affordable price tag. The latest IdeaPad S2109 can be a good option for customers looking for an affordable tablet with all the latest features and specifications. About Alia_Haley - Alia Haley is a blogger by profession. She loves writing on technology and autos. Beside this she is fond of cars and fancy accessories. Recently an article on bathroom design ideas attracted her attention. These days she is busy in writing an article on acer iconia review.